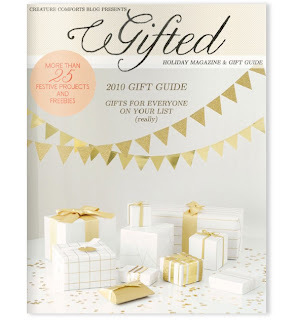 OMG.......Going through my Google Reader today and I came accross this new magazine from Creature Comforts Blog called Gifted. It is amazing. It is jammed packed with Christmas gift ideas and DIY projects. I love it! Check it out. Also our Dollar is nearly equal with the US so it is the perfect time to shop shop and perfect for Christmas.